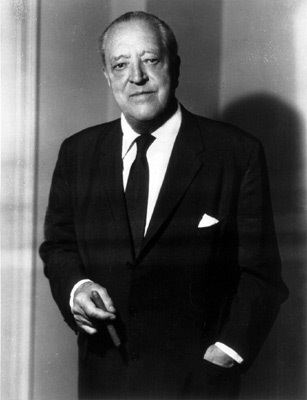 What can Mies tell us? Lots. PR is a business in crisis. There are a variety of reasons for this but the Three S’s are largely responsible. These are spin, spamming and story pitches with no news value. As Brian Solis has eloquently stated, “PR does not stand for press release”. I agree with his contention that many Communications departments are used improperly and more value could be derived from them. Working in the “press release factory” is neither fun nor enriching professionally. So, given this, you can imagine my worry when I read this survey by the Pew Centre that says that press releases were becoming a more important part of news production due to cutbacks in newsrooms. This makes perfect sense. So too does the counsel suggested by Adam Sherk about how PR people can increase their chances of getting content published in media by dialing down the marketing hype. Testify to that Reverend! But realize please that there’s a long way to go before the profession actually does away with the endemic b.s. that has so defined us. What concerns me about the Pew study is what happens when/if it is misunderstood. Reading it one could easily say, “Well, let’s crank up production in the press release factory.” This is clearly the wrong takeaway if the profession aims to eradicate the all too prevalent Three S’s. PR needs to be putting out FEWER AND BETTER releases, at least until we can show the world that we are not purveyors of over the top gobbledygook. So next time you think appointing Joe Schmo to the position of VP of Sales is worthy of placement in the New York Times, throw cold water on your face, call your Mom, have a drink, do anything you need to BUT PLEASE don’t hit send on the release. You’re doing us all a disservice. Addendum: Need some examples of what to avoid language-wise? Checkout the ever-relevant Gobbledygook Manifesto written by David Meerman Scott.